Appearance: The Avatar Icon. Old set of white robes with his face hidden by his hood shadow. Personality: Kun was never a dumb child. He was always thinking and bettering himself. He is cunning, clever, intelligent, nimble, sly, and unsocial. He is an assassin for the neo akatsuki, and is by far the most intelligent ninja. He is always thinking about the whole aspect of the situation that he is in, and develops plans of attack based on his predicament. He always is trying to read up and gain more intelligence. Kun also never has missed an assassination. His mind and pride won't let him. If he ever missed an assassination, he would most likely kill the person and everyone else who witnessed, to leave no trace, except a mass of bodies. He is sly, and blends in with his surroundings extremely well. He is unsocial and doesn't have friends, for the sheer fact of not wanting them to die in the midst of battle. History: Kun was never a social, friendly ninja. He always stayed in and studied. Eventually he became bored, because he knew every detail of knoweledge. He decided to wander about, and met a neo akatsuki member who offered him a job as an assassin in the organization. He has been an assassin, but for his own enjoyment, and employed under himself. Nindo: "Never fail, never make yourself known, stay in the shadows. Don't miss the kill." Equipment: Two hidden blades on his wrists. They extend when he flicks his wrist. They can also launch senbon. He has smoke bombs, paper bombs, health pills and chakra pills. 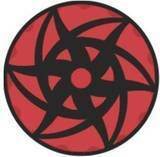 Jutsu Info: The user can stream Raiton throughout one's body to rapidly heal wounds and help avoid mortal injury. They can also stream lighting into metal projectiles to amplify their attack and speed intensely. Katon • Goukakyuu no Jutsu is a Ninjutsu technique utilizing the Fire Element. The ninja does the necessary hand seals, draws chakra from their mouth into their chest and them immediately exhales it. They then blow a stream of fire which erupts into a large sphere of flames. To better manage the flames the ninja will bring their hand to their mouth to control it. Katon jutsu such as this are seen as a rite of passage into adulthood for Uchiha clan members. Once the member can manipulate fire, they are finally recognized as no longer being a child. Katon • Unlike other fire-based jutsu, this jutsu allows the user to breathe out a cloud of superheated ash capable of causing third-degree burns. Because it is ash and not flame, the ash remains in the air around the target, and therefore remains potent for a longer period. This jutsu allows the user to create and blow a flammable gas from their lungs. Once it comes in contact with fire or sparks, the gas ignites into a large fireball. Kagero used this technique while disguised as Kabuto Yakushi. This jutsu causes creates the illusion of a tremendous ball of fire in the sky, which then crashes onto a designated area. Anyone in the area will instinctively flee. This jutsu makes the target think that they are surrounded by total darkness, allowing the user to attack unseen. Dynamic Entry is a taijutsu technique used by Maito Gai. Gai will throw a kunai to distract his targets attention, he will then use his speed and agility to quickly approach and attack his opponent from their blind side. The user hurls several kunai at her opponent, each with a small sack of miniature explosive tags attached. The opponent, while deflecting the kunai, will cause the sacks to break and scatter the tags on themselves and the area around them. The user merely has to throw another kunai with an explosive tag to ignite them, thus catching her opponent in an immense explosion. While the target is airborne, the user jumps in such a way as to appear below the target while following a similar trajectory through the air. Since the victim is airborne, he is in a vulnerable position to a more damaging attack. This jutsu is a set-up attack for a stronger jutsu. It consists of a simple, but very fast, duck followed by a powerful upward kick, which sends the opponent flying. The user forms a chidori in their hands, and shoots a giant surge of electricity to make it look like a kamehameha from DragonBall Z. It assumes a 10 meter diameter. It also has the same effects of a chidori. The user can manipulate their body into forming various types of weapons, including swords, maces, etc. These weapons contain the denstiry of normal weapons, unless their skin is denser, then it assumes the density and durability of the user's skin. The user summons storm clouds, which form overhead within three turns. Then, the cloud's thunder will paralyze any who are able to hear it. The paralyzation lasts two turns. RP sample: Well, being an experienced rper, I have the ability to conduct an insane amount of jutsu and manuveurs within the least amount of words. Hidden jutsu are the most deadly, so I have learned to utilize this. In this post, I had used a total of 5 jutsus, all that will not miss, because of the angle of attack. The cut is supposed to allow blood to enter the ground, which will then drain the blood of the opponent, and mix it with diamond, erupting in the next turn, shredding him. The scream is a paralyzing sound jutsu. The clouds are forming an attack for raikiri as well as the piercing storm. The sword was a special sword that disperses its molecules to enter an opponents body, and expanding to form a forcefield, making him explode from the inside. How did you find us? : My friend told me about it. Amegakure is now up for takes, would you like to become its new leader? Yes I would! ok, so how much jutsu/chakra/health do i get? 1. Okay, for Neo-Akatsuki, you'll have to ask Dawn about tht and sees if you're approved to be the Leader of Amegakure and a hired man for Neo-Akatsuki. 2. For the Chidori Kusangi Blade, do you have Orochimaru's Kusangi? 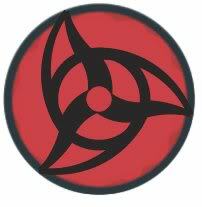 (since that's the only one left, if not then please change it to Lightning Sowrds- (Killer Bee's move). 3. Although customs are to only be made in Jutsu Creation, i'll make an opinion here. All of those customs are good except for Chidori Kameha- change it to 9 CP. I edited. Would you like me to keep Neo Akatsuki out for now? or leave it in until dawn tells me otherwise? You could just leave it on there and wait for Dawn to approve of it..
lmao, aight ill edit it. just check it. ima be my own assassin.